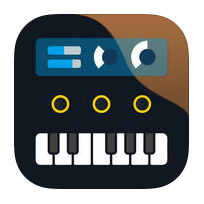 KORG Module for iPhone is a high-quality mobile sound module app that’s ideal both for performance and for music production, and features a pro-level high-quality sound library. In addition to the iPad version, it’s now available for iPhone as well. Your iPhone, together with a MIDI keyboard such as the new microKEY, is all you need to easily perform unsurpassed grand piano and studio-quality keyboard sounds anywhere and anytime. Without making any compromise regarding sound quality, the newly compact KORG Module for iPhone redefines the standard of sound that can be played on a mobile device. Top-quality piano and keyboard sounds in minimal size. 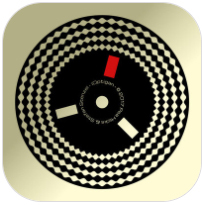 A high-quality mobile sound module app for iPhone. Due to KORG’s decades of technological experience gained by developing historic workstations and synthesizers, the “NATIVE ENGINE” brings a generous amount of high-quality sounds and smooth playback to mobile devices. We’ve carefully ensured ideal playability and designed the system for ultra-low latency. 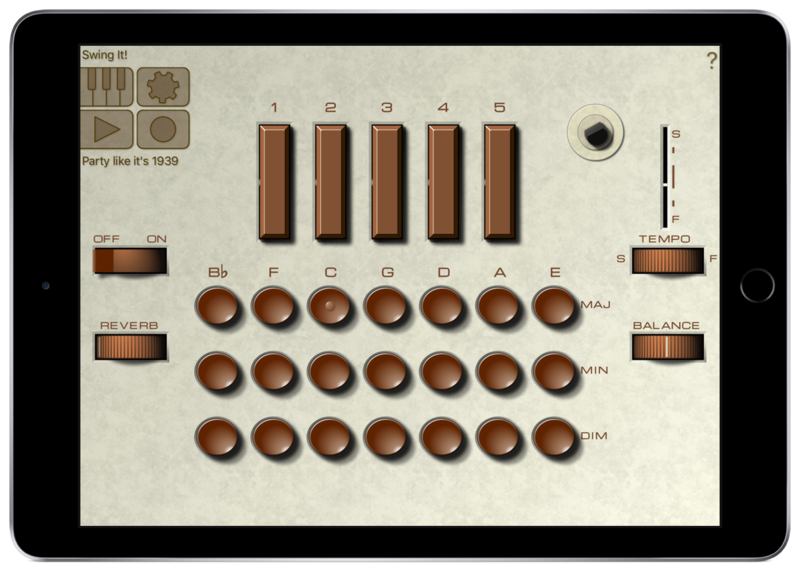 The core of this engine consists of five dedicated sound engines: Acoustic Piano, Electric Piano, Clav, Organ, and Multi. Similar to the iPad version, there are 100 programs built in. Beautiful graphics are designed for each module, showing carefully selected parameters that make it easy for anyone to edit the sound. In spite of the size of the iPhone, the sound quality is precisely the same as the iPad version. Don’t wait to experience the superb sounds that emanate from such a compact device. KORG Module and the microKEY are the best possible combination for a mobile performance environment. With the new microKEY which supports a damper, or the microKEY Air which provides a wireless connection via Bluetooth MIDI, your iPhone instantly transforms into a high-quality sound module. In your room, in a practice studio, when riding in a moving vehicle, or outdoors, it’s easy to set up and immerse yourself in a superb playing experience wherever you are. 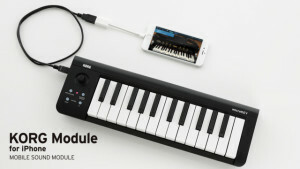 Of course you can also use any MIDI keyboard that can connect to your iPhone via Apple Lightning – USB camera adapter. 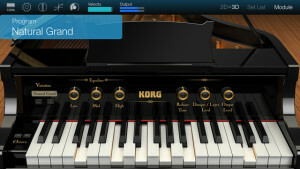 Even without a MIDI keyboard, you can play using the app’s keyboard or phrase function. The beautiful 3D graphic screen provides an atmosphere that evokes a great playing experience. We’ve paid attention to details such as the three-dimensional appearance of each module and the reflected highlights of the keyboard. In contrast, the 2D screen features a simple design with excellent visibility and operability, allowing effortless editing even on the compact screen of your iPhone. The 2D screen also provides a “smart keyboard” that lets you specify the scale appropriately for the song and also allows you to play chords with just one finger. You can use the interface that’s best for your needs.